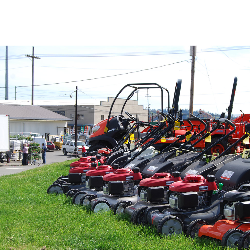 Come to the outdoor power equipment repair experts in Shelton, WA at Tozier Brothers, Inc.
Tozier Brothers, Inc.’s service personnel has numerous years of power equipment experience and can handle anything from routine maintenance to major repairs. Our goal is to make sure that your Honda products are up to their highest working capabilities when you need them. Whether you need a tune up, storage prep, or repair, Tozier Brothers, Inc. will make sure your Honda is in top shape! We also stock a wide variety of Genuine Honda Parts and Accessories. Let us know what you need!